Several weeks ago, myself and the Beauty Bloggers of Central Florida gals met up with Ofra Cosmetics in one of my favorite meet-ups to date. There, Carine of Ofra so generously gifted us a plethora of Ofra goodies. It's sad to me that so many people are unaware of this brand, because this brand is just SO good. You'll be hooked on it once you try their products. Trust. This review is the first of many that are to come on this blog, so brace yourselves for an Ofra overhaul, ya'll. 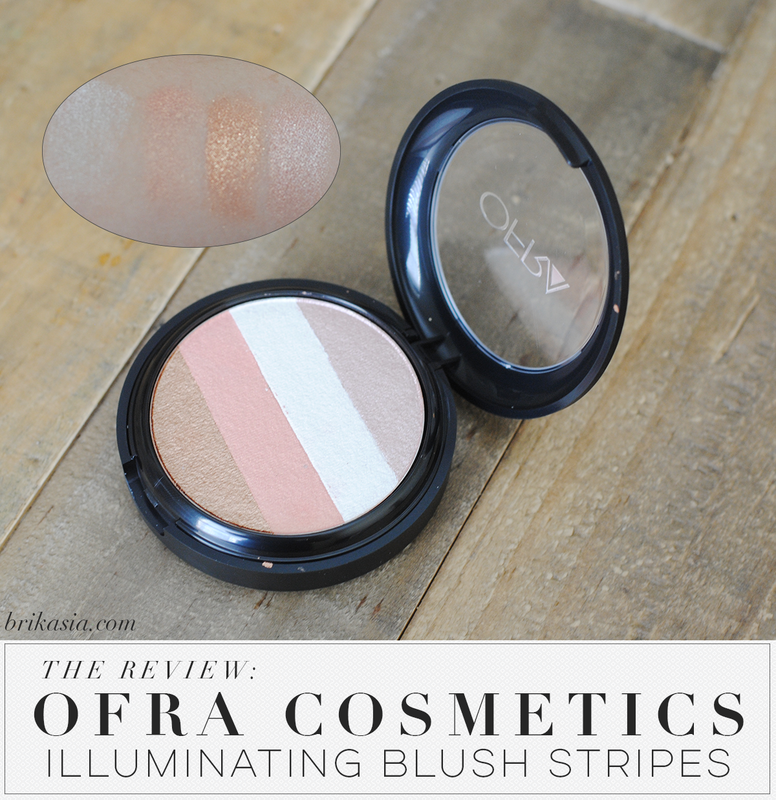 First up: the Ofra Cosmetics Illuminating Blush Stripes. This product is an amazing multi-purpose product, and can be used as blush, highlighter, and eyeshadow. There are four strips in this blush, and they can be used individually as eyeshadow, or swirled together for blush and highlighter. All four shades are extremely shimmery, so do not use the gold strip for bronzer because it's got too much shimmer. Each shade is also extremely pigmented. I haven't used this as a blush because of how shimmery it is, but I can attest to this product being an AMAZING highlighter. I actually like mixing the bottom two strips- the gold and the peace- as my highlight color. I get really oily, but this product doesn't enhance my oiliness. I would even dare to say that this is an amazing highlighter for all skin types- even those with oily skin. The Illuminating Blush Stripes retail for $35. That may sound like a lot, but you're getting a ton of product for your buck. Plus, there's so many ways you can use this palette- it's perfect if you travel a lot and want to pack lightly! And I promise- once you try this, you'll be hooked on Ofra. Consider this your gateway drug into the world of Ofra. I cannot recommend this enough! Have you tried anything from Ofra? Disclosure: This product is a PR sample. All opinions in this review are my own. Got one of these today in my boxycharm subscription. Can't wait try it out.